There have been days this spring where I think to myself that if I read another article about the bounty of the spring rhubarb and asparagus crops, the “harbingers of spring” as so many have written, I think I might start banging my head against a wall. Yes, rhubarb and asparagus are in full force in spring, and yes in the cold and short growing season in Chicago there’s not much else to talk about, but come on. Let’s talk about sweet butter lettuce and snap peas. Or sprouts and spinach! What’s going on with those crops? Why must it always be rhubarb and asparagus? I need another veggie to catapult me out of this spring rut. And then I remember that rhubarb and asparagus are so delicate and tasty, and their seasons so short and fleeting, and I realize why so many authors and writers have devoted columns, blogs and newsletters to these vegetables. And then I read this article in the Chicago Tribune about a fresh spring asparagus soup, and I was forced to bite my tongue. The recipe is simple, but as the article describes, it has a wonderful velvety texture. The bright green color is really pretty, too. I garnished it with a little sour cream as suggested, along with some sliced green onions. What I loved most about this soup is its bright, sparkling flavor (which is enhanced with the right amount of salt and definitely the lemon juice). Sweet, fresh flavor like this, in my experience, is really only possible to attain when using the first, most delicate spring vegetables. Like asparagus. I think I will shut up and eat my soup. A delightful soup for spring. Heat oil and butter over medium heat in a large saucepan. Add leeks; cook, stirring occasionally, until soft, about 5 minutes. Add the asparagus and potatoes; cook until nicely coated and beginning to soften, 3 minutes. Add chicken broth, salt and pepper to taste; heat to a boil over medium-high heat. Reduce heat to low; partially cover. Cook until the vegetables are tender, 15 minutes. Meanwhile, heat a medium saucepan of water to a boil over high heat. 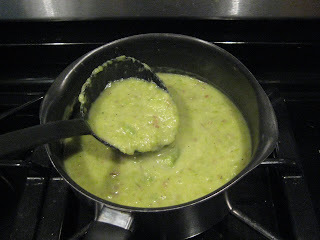 Add the asparagus tips; boil until tender but still bright green, about 3 minutes. Drain. Set aside for garnish. Puree the soup in batches in a blender. Return to saucepan; stir in lemon juice to taste. Ladle into bowls; garnish each with a dollop of sour cream, the asparagus tips and the chives. I have been fascinated by okra on two occasions that I can recall. I was first introduced to the vegetable when I discovered through some Internet research on popcorn that fried okra is a popular snack/side/delicacy in the South, where it is sometimes known as Texas Popcorn. A) I’m not sure I’d ever had or really ever known of fried okra before that moment, and B) I certainly didn’t know it was sometimes called Texas Popcorn. As one who is interested in regional dishes and eating traditions, learning about a dish ubiquitous to a fairly large region, with such a whimsical name to boot, intrigued me. The second time okra surprised me was during a recent trip to New Orleans where I learned that the sticky, slimy innards of okra make a great thickening agent for soups and gumbos, again in the South. 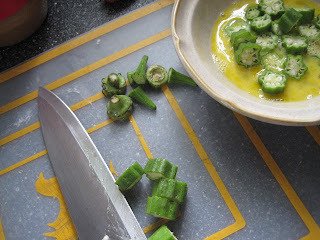 In a medium bowl, soak 15 okra pods sliced one-half-inch thick in a beaten egg for 10 minutes. Dredge in seasoned corn meal, and fry in vegetable oil until golden brown. Drain on a plate covered with a paper towel. Here’s where things could have gone better. Not having cornmeal, I used unbleached white flour instead which left something to be desired. I once read that when seasoning the breading for fried chicken, the flour/cornmeal is seasoned sufficiently once you can taste the salt if you place a pinch of the mixture on your tongue. Not wanting to over-salt the flour, I left it too bland. It sure was pretty though. As my Texas Popcorn began to turn golden brown in the oil, the house filled with the down-home smell of “fried,” and it felt like a really nice Sunday afternoon. 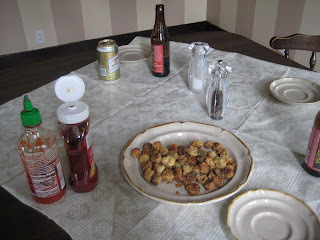 As we ate the greasy morsels, I salted a ketchup/sirracha chile pepper paste mixture to help coax out the flavor of the fried okra. It’s really amazing to me how salt can brighten up a dish, enhancing its taste. This helped a little but it would have been better if I’d used well-seasoned cornmeal. Nonetheless it was a good process and a tasty treat in spite of my failings. My experimentation may have even left me a little more intrigued with this little slimy pod that I was before. This the tale of an ugly cake. Perhaps the ugliest cake I’ve ever seen. It all started one Sunday afternoon. I was ambushed by the overwhelming urge for something sweet. I thought about going out with a friend to Hot Chocolate or Uncommon Ground here in the city for an indulgent dessert, but all of a sudden a storm blew in, complete with thunder, lightning and lots of wind, just like that. Gotta love the spring in Chicago. I’ve lately been on a quest to use up everything in my pantry since we’re moving soon and nobody likes to haul canned goods around. 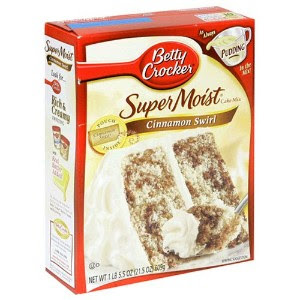 Having recently taken stock of the random cans of Italian Wedding soup, boxes of stuffing and a 2 pound bag of crawfish boil se asoning, I suddenly remembered seeing a box of Betty Crocker Cinnamon Swirl cake mix tucked away in the back. That initially seemed like the perfect solution, but as one who likes to cook and experiment in the kitchen, a cake mix seemed too easy, the outcome too certain. So I decided to jazz it up a little. I managed to scrounge up raisins, coconut, dates and whole nutmeg, which all seemed like they’d complement the cinnamon flavor profile of the cake mix well. So I added in about a half cup of each of the first three ingredients, and grated about half a nutmeg seed into the batter. The box offered two ways to make the cake, the normal way with 3 eggs, oil and water or the decadent way with 4 eggs, butter and milk. I chose the latter of the two, figuring the rich batter plus my tasty ingredients would make for a pretty good cake. Doctoring a cake mix like this is nothing new; in fact some people have even written whole books on the practice, like The Cake Mix Doctor and The Cake Mix Bible to name a few. And it makes sense: essentially a cake mix is a starter kit for a cake with the flour, sugar, salt and leavening agents pre-mixed for you. It’s like a blank canvas ready for color and flavor. And colorful and flavorful I hoped my caked would be. As my masterpiece was baking, I whipped up some simple icing out of powdered sugar, butter and milk. I’d wanted to bake a round cake so that I could have the gooey icing in the middle between the two layers, but not having the proper pans I settled for a 13×9 inch cake instead. Once the cake came out, I thought I could get the stacked effect by cutting the rectangular cake in half, icing the first layer and stacking the second layer on top. Here’s where things started getting ugly. I tried to let the cake cool sufficiently before removing it from the pan, but got impatient. I figured that with the amount of butter I used, it should easily slide right out if I inverted it over a cuttin g board. Wrong. A large chuck stayed in the pan as I flipped it, leaving a big tear the long side. So I patched it back together the best I could, and let it cool further. Then I sliced the thing in half, iced the first layer, messily heaved the other layer on top, iced that piece, all the while filling in the gaping holes and “gluing” the chunks that kept falling off back on, and called it a day. The cake was ugly, but boy did it taste good. It was super moist, with great texture and crunch from the coconut. 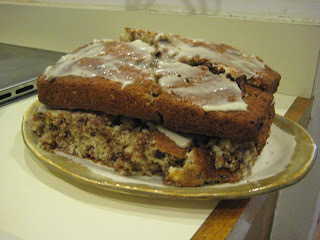 The raisins and dates were warm and gooey and seemed to melt into the spongy cake. 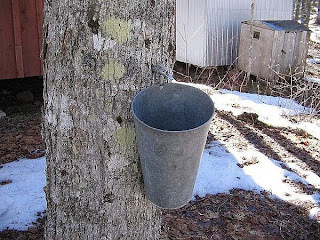 I had a slice of that cake after dinner all week long, pouring a little milk on top as it began to slightly dry out. Guess this goes to show that like many things in life, the beauty of this sugary disaster was on the inside. Last weekend I threw together a lox dip for a casual get-together my parents had with me and our neighbors, Dale and Cathy. It was just a few ingredients and turned out pretty darn good, if I don’t say so myself. When I was opening the package of lox, I got to thinking about smoked salmon and lox and wondered if there was a difference. After a little research, it turns out that lox is a type of cold-smoked salmon, that’s also been brine-cured to give it that wonderful saltiness. Apparently sugar can be added to the brine, too, though what we had was not sugary. With regards to smoking, cold-smoking gives the salmon a smoky flavor, but it doesn’t cook it completely. This process takes anywhere from one to three weeks and the smoke temperature never rises above 100 degrees. The hot-smoking process involves hotter smoke and takes just six to 12 hours. This method actually cooks the salmon in addition to adding smokiness to the flavor. Because it’s cooked completely, hot-smoked salmon has a very different taste and texture than the cold-smoked variety. Before I understood these nuances, I experienced this difference myself when I ordered a lox-and-egg scramble for brunch at Noshville in Nashville (love that name!). When I dug in I realized the heat from the eggs had cooked the lox. It wasn’t at all what I was expecting but still pretty tasty. Here’s the recipe for my lox dip. It’d probably be good with capers and dill too. What do you think? PS: Thanks for the food photography Dad! Rye crachers or toasts, assorted crackers or anything crunchy and dippable! Combine first six ingredients in a medium bowl; mix thoroughly. Stir in lox. Add salt and pepper to taste. In my mind, there are few edible things in this world more satisfying than a sandwich. I like them all, from the most basic egg salad on white to something decadent like grilled brie, spinach and sauteed onions on ciabatta. Maybe it’s the combination of textures, or perhaps it’s the mix of flavors and food groups that I like. It very simply may just be the fact that many sandwiches can include mayonnaise, a condiment with which I have strangely strong affinity. I don’t know, and I don’t care. But what I do know is that I can always go for a good sandwich, any time, anywhere, whether I’m hungry or not. The mere thought of one just strikes a chord somewhere in me. Today I had a delightful sandwich. I had little food in the fridge, so I threw together a random combination of things, with surprisingly good results. I started with a toasted onion roll, slathered on one side with light Hellman’s Mayo. I then added sliced hard-boiled egg, avocado, red onion, a few ripped spinach leaves and a piece of white American cheese from the deli. To top it all off, I slathered the top piece of the roll with the last remaining bits of Leola’s Cajun Chow Chow, a spicy-sweet salsa-like condiment that’s a classic condiment to Southern cuisine. 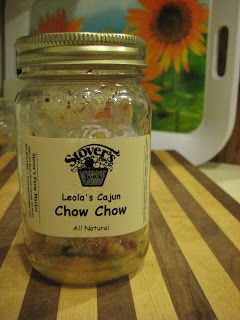 I picked up the jar from the Stover’s stall at the Daley Plaza Farmer’s Market last summer. The family is from Berrien Springs, Michigan, and they say the recipe has been in their family for years. I bought the chow-chow from the Stover’s because I’d recently had it for the first time at Cochon, a restaurant by Donald Link in New Orleans. His cuisine is Contemporary Southern, and delicious as hell. I was there with my former boss, who grew up in South Carolina. When she gave the restaurant two th umbs up, I knew it was the real deal. In her food dictionary, Food Lover’s Companion (2nd edition), Susan Tyler Herbst defines chow-chow as “a mustard-flavored mixed-vegetable-and-pickle relish. Herbst goes on to say that it is thought that Chinese railroad workers first brought chow-chow to America, and that originally it was a condiment of orange peel and ginger in a heavy syrup. What I had today on my sandwich was nothing like that! Stover’s version is a mixture of green tomatoes, onions, peppers, vinegar, carrots, habenero and cayenne peppers, sugar and spices. It has a mild heat, but the touch of sugar along with the vegetables balances it nicely. The vinegar makes it a good topping for grilled meats. Many of the chow-chow versions I’ve seen include cabbage as the star ingredient, though I imagine the components vary heavily by family and region. I’ve topped a grilled pork chop with chow-chow and also just had it on crackers (which is how the Stover’s say they eat it). 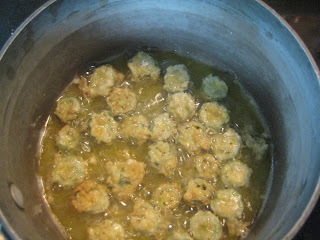 I imagine it would also be good with Southern favorite fried green tomatoes, or even with fish or shellfish. All of the things I just listed would be mighty fine between two slices of bread. I’ll have to try them someday. After all, you just really can’t go wrong with a good sandwich. After the bounty of summer farmer’s markets, one item I look forward to during the fall and winter months is the arrival of the pomegranate harvest. Pomegranates — native to the Middle East and India but grown in California in this country — are such an interesting and beautiful fruit. The edible part is the blood-red juice sacs, or seeds, that are clustered within a filmy membrane layered inside the pink-speckled skin. 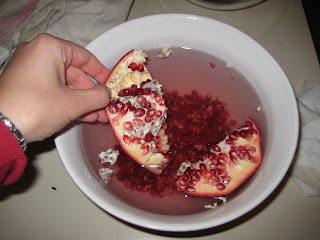 When I first started experimenting with pomegranates, I would slice them in half and fight through the membranes with a spoon to force out the seeds. Opening the fruit in this manner causes the bright fuchsia-colored juice within the juicy seeds — that will certainly stain everything from the counter to the cutting board to your clothing — to explode all over me, so I resorted to wearing a tie dyed t-shirt when working with them, which is not always convenient. I was saved last year when the Chicago Tribune printed a guide from the Pomegranate Council’s website on opening pomegranates with no mess. The method involves carefully slicing the fruit into pieces, then placing the segments into a bowl of water and carefully peeling the membranes back and popping out the seeds within. The pithy membranes float to the top and can be easily skimmed off, and the fruits of your labor are waiting at the bottom of the bowl. While pomegranate seeds are great sprinkled over green salads with red onions and feta, or tossed in yogurt and granola for breakfast, my favorite way to enjoy them is over vanilla ice cream. Just toss a handful of seeds into your bowl, and release the potent juice from the seeds to by pressing them against the bowl with the back of your spoon. The juice will mix with the creamy ice cream and turn the whole bowl hot pink. Though you may want to dig out a tie dyed t-shirt if you’re going to eat them like this. Last weekend, my roommates and I held our annual Fakesgiving feast, which is our version of Thanksgiving, only with friends and in mid-October. Like last year, we decided to fry our bird in a turkey fryer with peanut oil. It only took 56 minutes, and the meat was tender and moist with a crisp outer skin. Also new this year, I ordered the 18-pound bird locally, from a farmer I found through Green City Market’s website, which lists all the producers who have earned spots at the famous Chicago farmer’s market. When I picked up the turkey at Green City the Saturday before, Tim Ifft of TJ’s Pastured Free Range Poultry out of Piper City, about 60 miles downstate from Chicago, explained to me that our turkey was “processed” the Thursday before our Sunday feast at an Amish processing facility near Kankakee, Ill. The facility is USDA-certified and operates much like other modern operations do, only this one sports gas lights (as the Amish don’t use electricity) and the workers wear traditional dress. I learned the same facility processes poultry for many local farmers whose clients include fine restaurants in the Chicago area and beyond, such as Frontera Grill. Understanding our turkey’s history and really considering its life and death which took place such a short time before we cooked and ate it, caused me pause. Cleaning the turkey before cooking it was a somewhat somber experience; I felt connected to my food like never before. Sourcing the turkey, meeting the farmer and learning the backstory of the centerpiece to our Fakesgiving feast was a great experience to be remembered and repeated in the coming years.